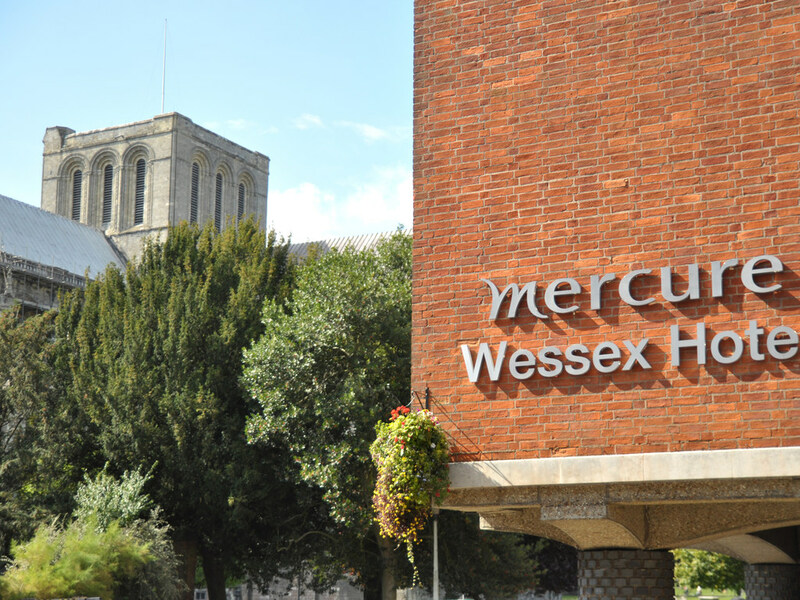 Guests are invited to enjoy a Brasserie-style meal in the Wessex Restaurant, which offers an impressive menu and unbeatable views of Winchester Cathedral. Those looking to relax can take a drink from the selection available in the King's Lounge bar. This hotel boasts five meeting rooms which are designed to comfortably accommodate business visitors. The event space can hold up to 200 guests, making it a great location for a city wedding reception or any other special occasion. Quiet and comfortable. Easy walking access to City Centre. The only negative issue was the expense of parking, and the clock-watching to make sure we didn't overstay in car park. We had to wake up earlier than desired to make sure we topped up the parking fee, as we couldn't get into hotel car park. Clean room. Pleasant reception, bar and restaurant staff. Breakfast and evening meal good. Exception. My room, 244 at the rear of the hotel overlooking a car park. Woken at 03:45 by noisy men returning to their vehicles, loud shouting for 15 minutes. The next morning the receptionist said that other guests had reported the same. As a worldwide traveller with Accor Group hotels, this Mercure disappointed. Breakfast was good and well presented with aimable staff in attendance. Reception was a robotic experience and the mattress on the bed was not up to standard, saggy in middle, thus a poor night s sleep. We were quite happy with our experience. The staff were all very helpful. The furnishings and décor were tired and in need of some refurbishment. The enamel in bath was coming away. Food in restaurant was not very exciting. Very welcoming, quiet, good location. Friendly and helpful staff. The door lock to my assigned room did not work, but was fixed in half an The rooms and the bat was clean. But cracked tiles with chippings on the bath pulls the impression down. The whole hotel is in need of renovation. Poor luke warm breakfast. When asked staff for a poached egg for my wife, it came out uncooked inside. So unimpressed eat out for breakfast on second morning. employees polite and informative. Breakfast poor. Dried up and tasteless, sorry. Staff helpful and pleasant. Reception was smart modern and clean. The room was tired, dated, small and gloomy, but clean and well looked after. Bathroom was clean, well lit with decent power shower, though the ceiling above the bath seemed low. Breakfast buffet was good with wide range of foods available, although chef doesn't know how to cook bacon! Teapots would be an invaluable addition. Hotel in excellent location for sightseeing in Winchester. Room badly in need of upgrade - worn carpet, bath sides badly repaired, old extractor stuffed with what appeared to be loo roll. Also extractor fan noise throughout night - from kitchen reflected off building opposite. Staff on reception knowledgeable and very helpful. Bar staff friendly. Only a 1 night stop over but sleep well had had a good breakfast. WE had a very good deal and upgraded to a cathedral view which was well worth the upgrade as the room was large and comfortable with a wonderful view out of a huge window. It was very nice but I thought the room service breakfast was somewhat poor to be honest and as a result the second morning we opted to eat outside of the hotel. The quality of the food was just quite poor. a very nice overnight stay , staff were very nice room was lovely with a nice view of cathedral , breakfast was one of the best we have had in a hotel ..